Sir Patrick Leigh Fermor, the man who fell for Mani's beauty! During our preparation for our road trip (you can check our post about our amazing road trip here!) 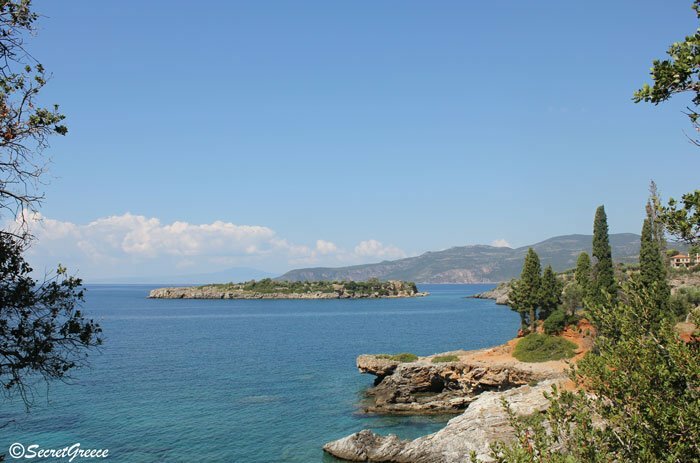 we were informed that one of the most charismatic and adventurous personalities of the last century lived very close to beautiful Kardamyli village. It was Sir Patrick Leigh Fermor (1915-2011), universally known as Paddy, an author, scholar, soldier, decorated hero, and adventurer, he was widely regarded as the finest travel writer of his generation! As a member of the British mission, he played a prominent role in the Cretan resistance during the Second World War. 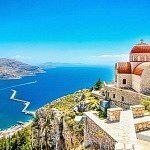 A great admirer and lover of Greece, he and his wife Joan chose to live at their home in Kardamyli, Mani, for the rest of their lives! 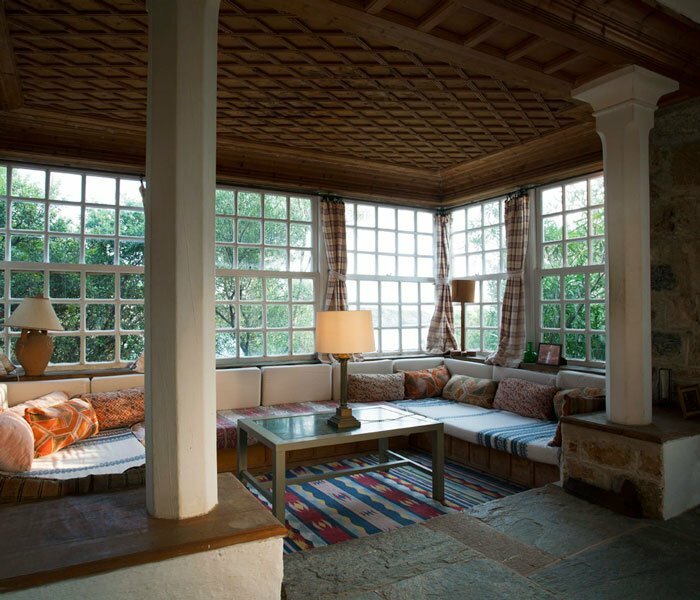 Patrick Leigh Fermor and his wife Joan donated the house to the Benaki Museum while still in life with the intention that the ownership of the house was transferred to the museum after their death, as it happened after Fermor loss in 2011. 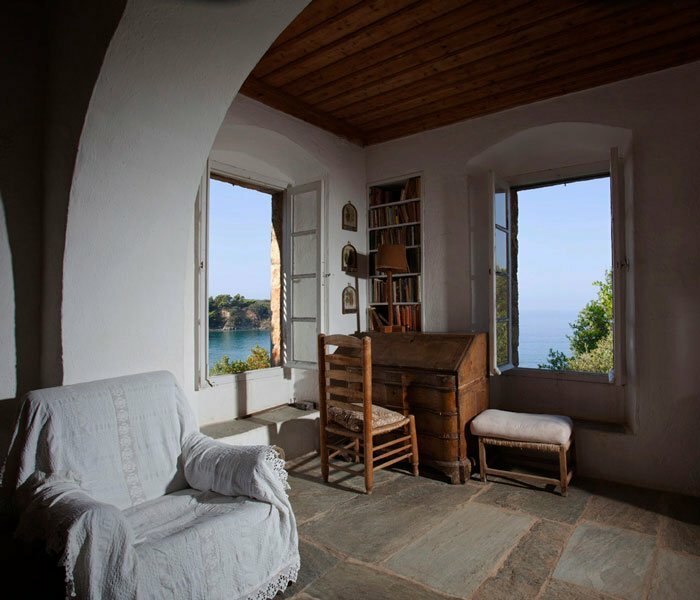 Benaki Museum very kindly had offered to open his house to us and Elpida, his housekeeper, guided us to Fermor’s hidden paradise! 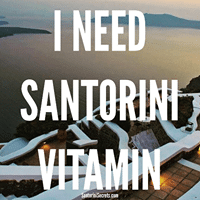 And we are very thankful for that! The house is in Kalamitsi area next to Kardamyli and it took us a few minutes to find it. 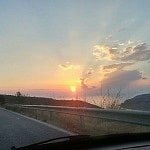 Elpida opened the door and beautiful pictures and colours came up! 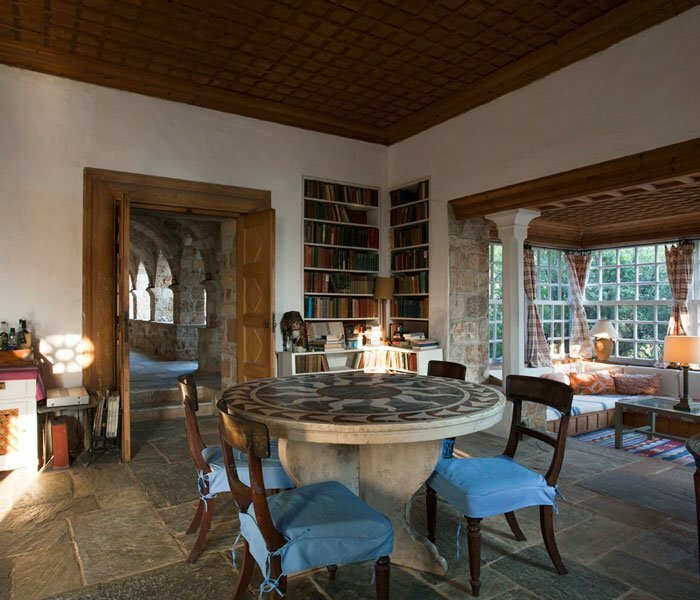 The property had three stone buildings mainly designed by Fermor and his wife in corporation with architect Nikos Hatzimichalis! 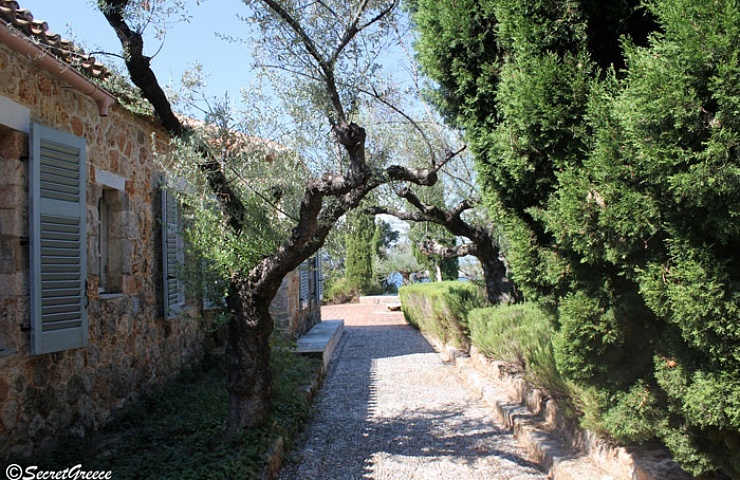 And there are surrounded by a beautiful Mediterranean garden with cypresses, wild flowers and of course olive trees. Just below the property, a narrow stone staircase leads to a small pebble beach. We got into the property and walked on the narrow alley, which is made of pebbles from the beach and we headed towards the 1st building on the right where Patrick Leigh Fermor used it as an office. He used to wake up early in the morning and he was reading and also writing mainly manual scripts and at older age using a typewriter. Personally, I love books and this place was full of them! I could totally understand why he chose this building as an office as it was quite, full of light and space. The office has many photos that went back and some from when he served in the army. 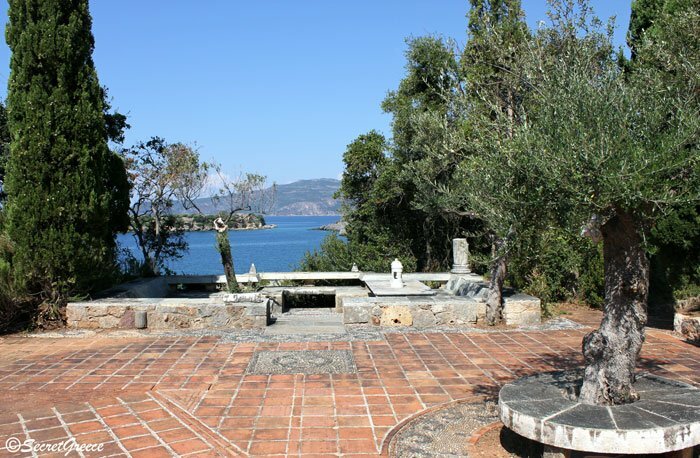 Before visiting Fermor’s house I tried to know more about him and I found a wonderful story when he fought in Crete (when you can find it also here). During the German occupation, he returned to Crete three times, once by parachute. He was one of a small number of Special Operations Executive officers posted to organise the island’s resistance to the occupation. Disguised as a shepherd and nicknamed Michalis or Filedem, he lived for over two years in the mountains! With Captain Bill Stanley Moss as his second in command, Leigh Fermor led the party that in 1944 captured and evacuated the German commander, General Heinrich Kreipe. Moss featured the events of the Cretan capture in his book I ‘ll Met by Moonlight. It was later adapted into a film by the same name. It was directed/produced by Michael Powell and Emeric Pressburger and released in 1957. In the film, Leigh Fermor was portrayed by Dirk Bogarde. 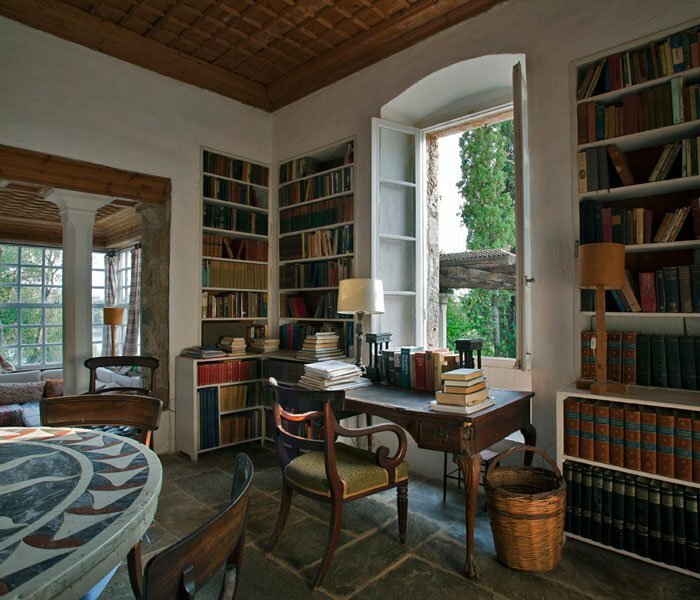 We also visited the rest of the house and generally, all rooms were sunny, many of them had books and great views! His bedroom had an amazing view of the sea and the blue sky! Totally understandable why he chose that room as his main bedroom! 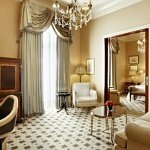 But, at the later stage of his life, he moved to a smaller room which very simple without any extras and unnecessary things. And from what we saw he should be also himself very simple, trying to enjoy every moment of his life removing all the “extras” and unnecessary. We have already gone to the kitchen and we get into the living room where the sofas and countless books created a place to sit, read and talk. Outside there was a small yard and patio where there you could sit down, enjoy the view to the opposite island and listen to the incredible sound of wind and sea. The opposite island, which is called Merope was the Fermor’s “destination” when he was going to swim. He used to swim around and the times that he didn’t do the tour of the island, he used to swim far away from the land until he was seeing the chimney of his house! 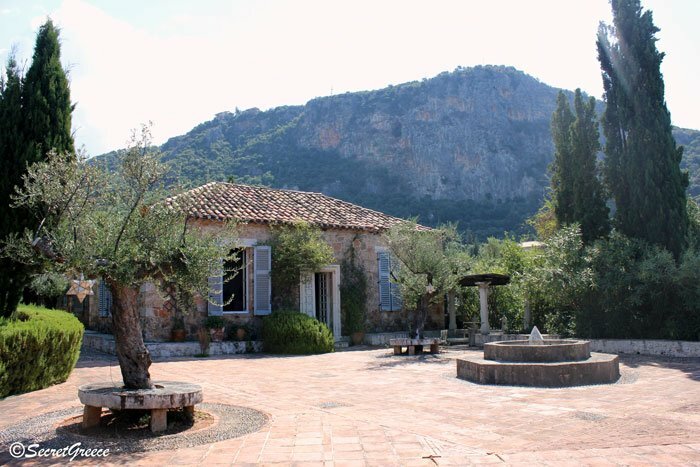 In case that you the house reminds something, let me highlight that the home of Patrick Leigh Fermor was granted for the filming of ‘Before Midnight’ with, among others, Ethan Hawke and Julie Delpy! The Stavros Niarchos Foundation announced the approval of the Benaki Museum’s request to fully cover the repair works and the restoration of the Patrick and Joan Leigh Fermor House and its equipment, so that it can soon start operating as a centre for hospitality of notable figures from the intellectual and artistic worlds as well as a centre for educational activities in collaboration with Institutions in Greece and abroad. We left the house in silence and immediately, I remembered something that he wrote…. The Benaki Museum is in the process of creating an endowment for the collection of donations, which will ensure that the operational expenditure of the Centre is covered and that the proposed educational activities will continue to evolve and grow. The Benaki Museum, as the owner of the house, is the only official Institution that receives donations from the endowment fund which will be created for the future operation and sustainability of the Centre sustainability. You can check and find more information on Benaki Museum website. 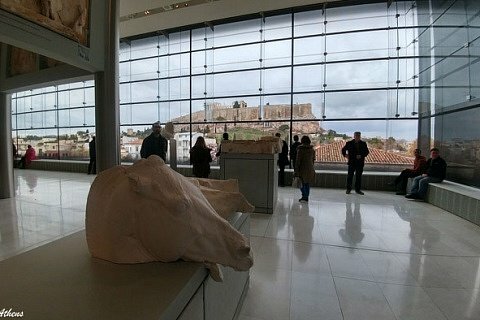 Every photo that hasn’t our name on it, has been kindly provided to us by Benaki museum, so you shouldn’t use any photos without their permission. Also, if you like the post, don’t hesitate to share it! 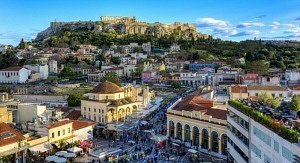 NewerAthens, the European capital that vineyards & wineries are so close from the city! 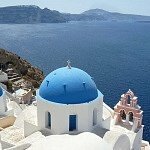 OlderWhich islands you can visit from Santorini!